“Collaborative Law” is the art and practice of settling cases with legal counsel, but without court intervention at any stage. The essence of collaborative law is the shared belief by the participants that it is in the best interests of parties and their families in typical family law matters to commit themselves to avoiding litigation. Therefore, they adopt collaborative law, a conflict resolution process which is an alternative to a litigated divorce, to resolve the issues involved in their divorce. Collaborative law does not rely on a court-imposed resolution, but relies on an atmosphere of honesty, cooperation, integrity and professionalism geared toward the future well-being of the family. The goal of the collaborative law process is to minimize, if not eliminate, the negative economic, social and emotional consequences of protracted litigation to the participants and their families. The participants commit themselves to the collaborative law process and agree to seek a better way to resolve differences justly and equitably. All collaborative divorce negotiations take place in four-way conferences between parties and their attorneys. Each party has built-in legal advice and advocacy during negotiations and each attorney is committed to guiding the parties toward a reasonable settlement. Because no one, neither the parties nor the attorneys, can go to court or threaten to go to court, settlement is the only goal. The parties are encouraged to communicate their real needs and interests. Through safe and focused discussions, each of the parties is encouraged to recognize the needs and interests of the other party and or the children. The parties agree to give full, honest and open disclosure of all information, whether requested or not. There are informal discussions and conferences to settle all issues. The parties direct all attorneys, accountants, therapists, appraisers and other consultants to work in a cooperative effort to resolve issues without resort to litigation or any other external decision-making process except as agreed upon. If experts are needed, the parties agree that they will be retained jointly unless all parties and their attorneys agree otherwise in writing. The parties acknowledge that each of their attorneys is independent from the other, and represents only one party in the collaborative law process. The parties understand that while their collaborative attorneys share a commitment to the collaborative Law process, each of them has a professional duty to represent his or her own client diligently, and is not the attorney for the other party. The parties understand that their attorneys are entitled to be paid for their services. The parties agree to make funds available for this purpose. Divorce is a sensitive personal matter. No single approach is right for everyone. Many couples do find collaborative practice to be a welcome alternative to the often destructive, uncomfortable aspects of conventional divorce. The couple wishes to maintain the tone of respect, even when they disagree. The couple wishes to prioritize the needs of their children. The parties recognize that each spouse requires equal consideration. The couple believes that working creatively and cooperatively solves issues. 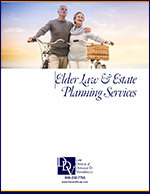 The couple recognizes that it is important to reach beyond today’s frustration and pain to plan for the future. The parties can behave ethically toward each other. The couple chooses to maintain control of the divorce process, and not relegate it to the courts. In collaborative law, both parties must sign a “contract”… which is actually more of a promise. It states that the parties will work together respectfully, honestly, and in good faith to resolve issues and reach agreements beneficial to everyone involved. This simple piece of paper goes a long way in helping the process go smoothly. A collaborative team is the combination of professionals that the couple chooses to work with to resolve their dispute. In addition to the parties’ attorneys, other collaborative law professionals are commonly added to the team for assistance with emotional, financial, or parenting issues. From financial advisors to child specialists, these specially trained resources keep the process more efficient and effective. The “collaborative team” will guide and support the couple as problem-solvers, not as adversaries. A series of private meetings are held to resolve all issues, including parenting decisions and division of marital property, where applicable. During these meetings, everyone strives to remain civil and respectful to one another, setting aside the tendency to blame, and resisting the impulse to rehash old hurts. While each attorney is an advocate for his or her client, both ensure that all voices are heard and all needs are considered. 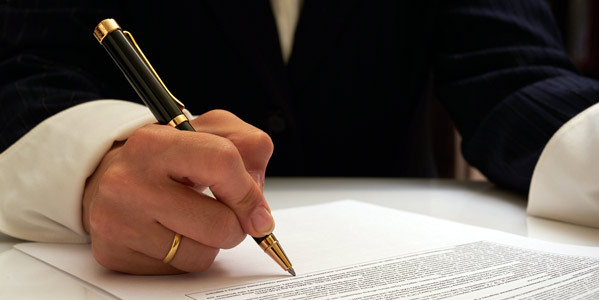 Once the parties reach an agreement, the attorneys create legally binding documents and file them with the courts. This holds all parties accountable to the settlement terms. However, one of the benefits of collaborative law is that the parties have created the agreement themselves-it was not imposed upon them by a third party. Therefore, the parties are more likely to abide by it. In mediation, an impartial third party (the mediator) assists the negotiations of both parties and tries to help settle the case. However, the mediator cannot give either side legal advice or be an advocate for either side. If there are lawyers for each party, they may or may not be present at the mediation sessions, but if they are not present, then the parties may consult them between mediation sessions. When an agreement has been reached, the mediator prepares a draft of the settlement terms for review and editing by both parties and their lawyers. Collaborative practice allows both parties to have lawyers present during the negotiation process to keep settlement as the top priority. The lawyers, who have training similar to mediators, work with their clients and one another to assure a balanced process that is positive and productive. When an agreement has been reached, a document is drafted by the lawyers, and reviewed and edited by both parties until everyone is satisfied. Both collaborative practice and mediation rely on voluntary, free exchange of information and commitment to resolutions respecting everyone’s shared goals. If mediation doesn’t result in a settlement, the parties may choose to use their legal counsel in litigation. In collaborative practice, the lawyers and parties sign an agreement aligning everyone’s interests in resolution. It specifically states that the collaborative attorneys and other professional team members are disqualified from participating in litigation if the collaborative process ends without reaching an agreement. The choice of mediation or collaborative practice should be made with professional advice. Collaborative practice can also apply to disputes involving employment law, probate law, construction law, real property law, and other civil law where continuing relationships exist after the conflict has been resolved. For additional information regarding Family Law Services, call us at 908-232-7400 or click here to contact us online.